Guess Who? 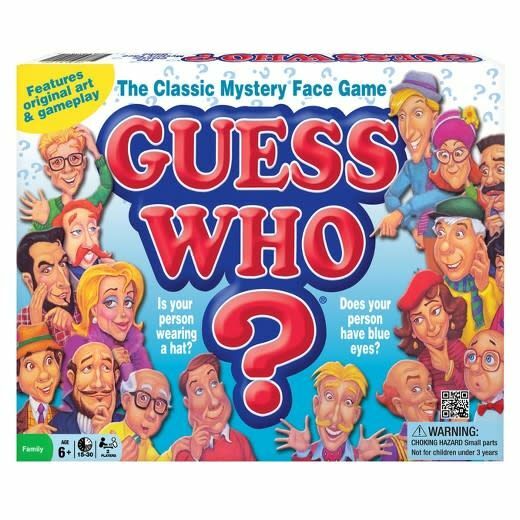 is a classic two-player game where opponents attempt to guess which character out of 24 possibilities their opponent has picked. 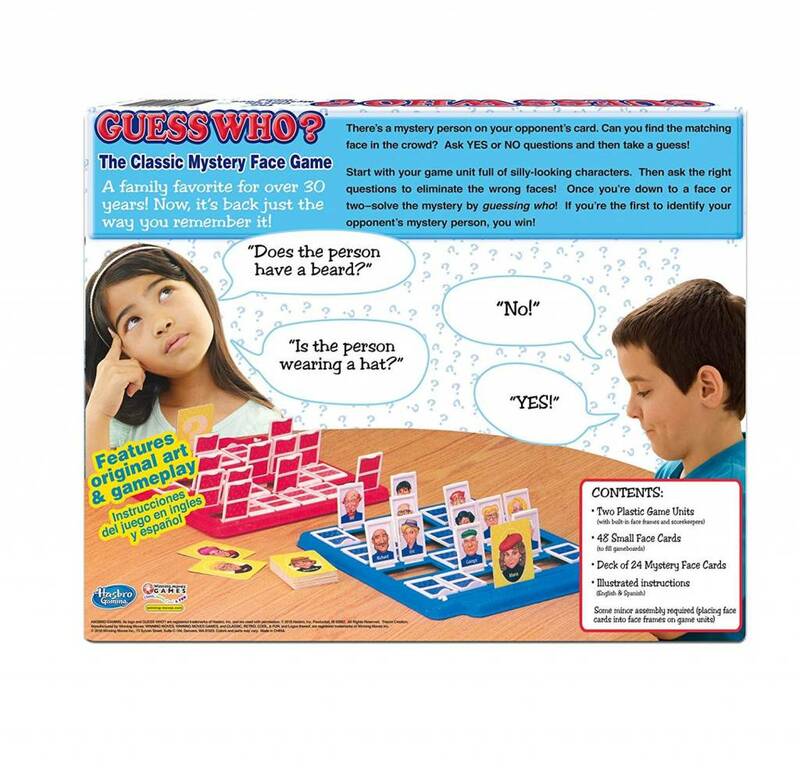 This beloved 1980s version of the classic mystery face game features original art and game play. Start with your base full of silly-looking characters and then ask the right yes or no questions to eliminate the wrong faces. 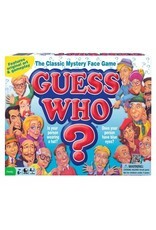 Once you're down to a face or two, solve the mystery by guessing who! Can you find the matching face in the crowd? Set up the game by sliding the character cards into the frames and then attaching the frames to the two plastic game boards so they both have the same characters. Pick a playing card at random and fit it into your game board so your opponent can't see. 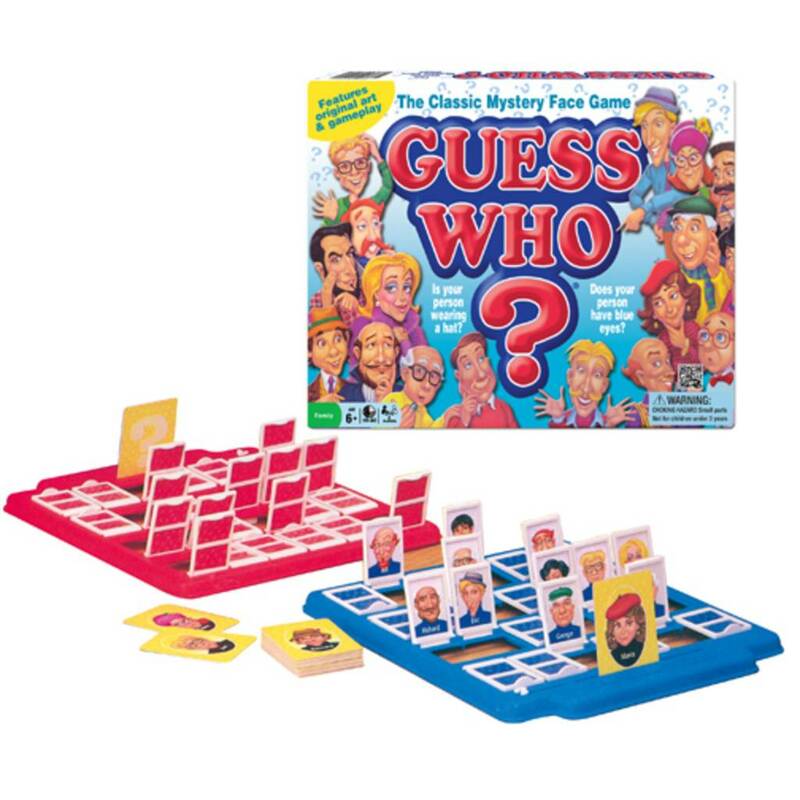 Each player takes turns asking the other a yes or no question to narrow down the characteristics of the other player's character. Does your person have a hat? Yellow hair? With every no answer, flip down all the characters who have that characteristic. Keep whittling away at the characters until finally you think you know who it is. 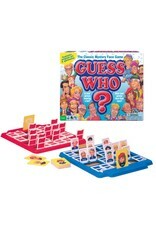 The first person to guess their opponent's character correctly wins the game! Winning Moves USA is a leading maker of board games, card games, and puzzles. Since 1995, the company has forged a close relationship with one of the world's largest game companies, Hasbro, Inc., owner of Parker Brothers and Milton Bradley. It also has a great relationship with Seven Towns, Ltd. (the owners of the Rubik's brand). With many best-selling games on the market, Winning Moves missions is to provide classic, retro, cool and fun games to consumers.